We are totally committed to the provision of a safe environment for our young cricketers. We have therefore adopted 'Safe Hands – Cricket’s Policy for Safeguarding Children'. All of our coaches and managers, and those who deal first hand with young people are DBS (formally CRB) checked. We continue to grow the number of qualified coaches we have and improve the qualifications they hold. Our coaches have worked hard to developed a training programme and plans for each session. We provide competitive cricket through the Middlesex Colts Leagues and also introduce our older colts to longer matches. Wearing Helmets, when batting or standing up when keeping when playing with a hard ball. "We pledge to continue to give players of all abilities the opportunities to practice and play cricket." 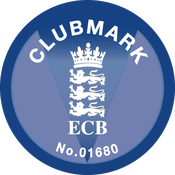 We have adopted the ECB's Equity Policy, and the ECB Club Inclusion & Diversity Policy. Our club policies and documents conform to the above points. All of the club policies and documents, including our codes of conduct, can be found on the Policies & Forms page.